To date, Yigal Azrouël is best known for his feminine designs and expert draping techniques. His designs are classic, but maintain a modern freshness. The Yigal Azrouël woman exudes confidence and knows what she likes. Yiga has never been a designer who follows trends; more importantly, he refines his collection season after season with influence and inspiration from art, culture, architecture and travel. 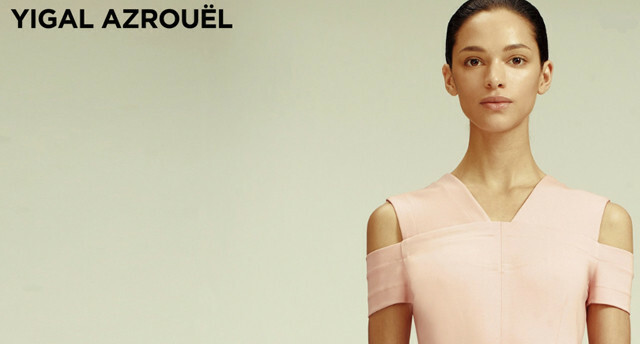 Azrouël defines his aesthetic using high quality fabrics to drape structured, ultra-feminine, modern silhouettes,sold internationally at select luxury retailers, online at yigal-azrouël.com and at his Madison Avenue flagship boutique in New York City.